74 Chester Square is a classically built stucco fronted house that has been refurbished and extended to an exceptionally high standard. The house benefits from five double bedroom suites plus staff accommodation, grand first floor drawing room, dining room, passenger lift, garage, roof terrace, cinema room and wine cellar. Chester Square is one of Belgravia’s three principal garden squares, alongside Belgrave Square and Eaton Square. Built in the mid-19th century the houses of Chester Square enjoy wonderful views over private lawn gardens. The multi-level property has been lovingly designed and maximises the natural light entering into the building by a series of astute glazing solutions. 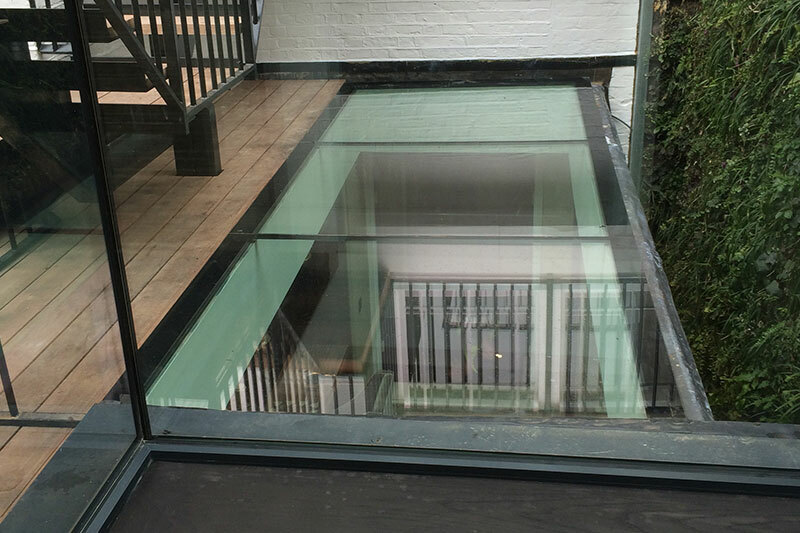 Large roof lights designed and installed by Glasstec Systems, combined with the internal and external bifold doors and frameless corner windows enable light to flood into several floors of the property. 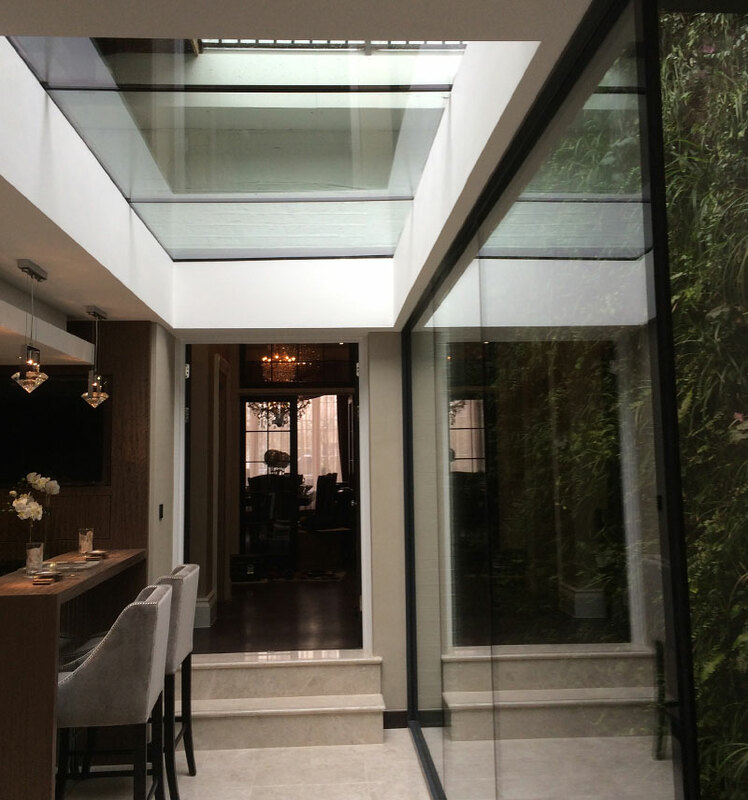 In addition to natural light flowing into the house via feature architectural glazing, Glasstec Systems also installed floor to ceiling mirror wall cladding and feature glazing to the lower levels of the property to help reflect light and impose a greater feeling of space. 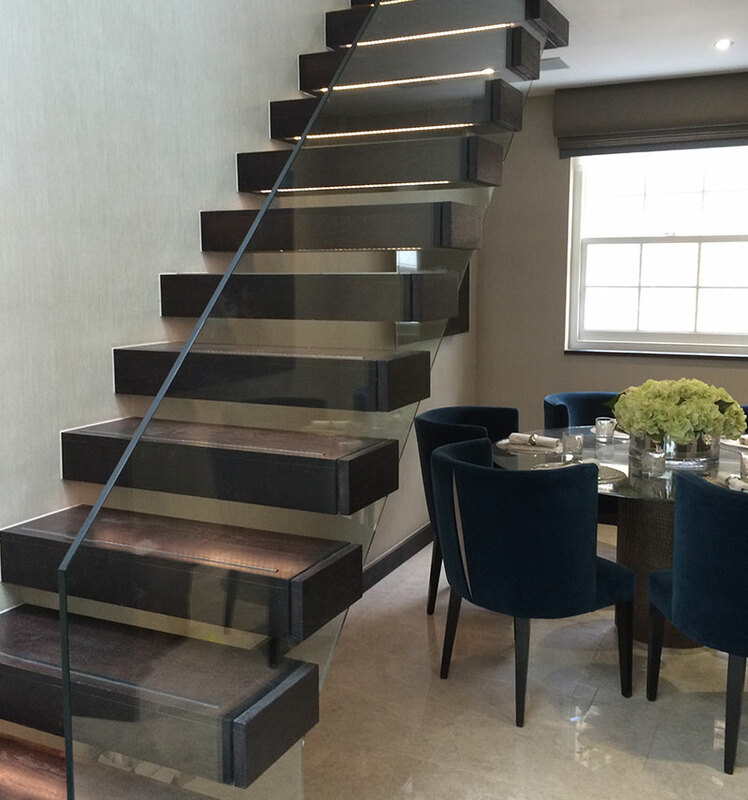 To further increase the sense of light and air in this opulent residence, Glasstec Systems installed sleek frameless glass balustrading leading to a beautiful ‘floating’ staircase with glass balustrading. 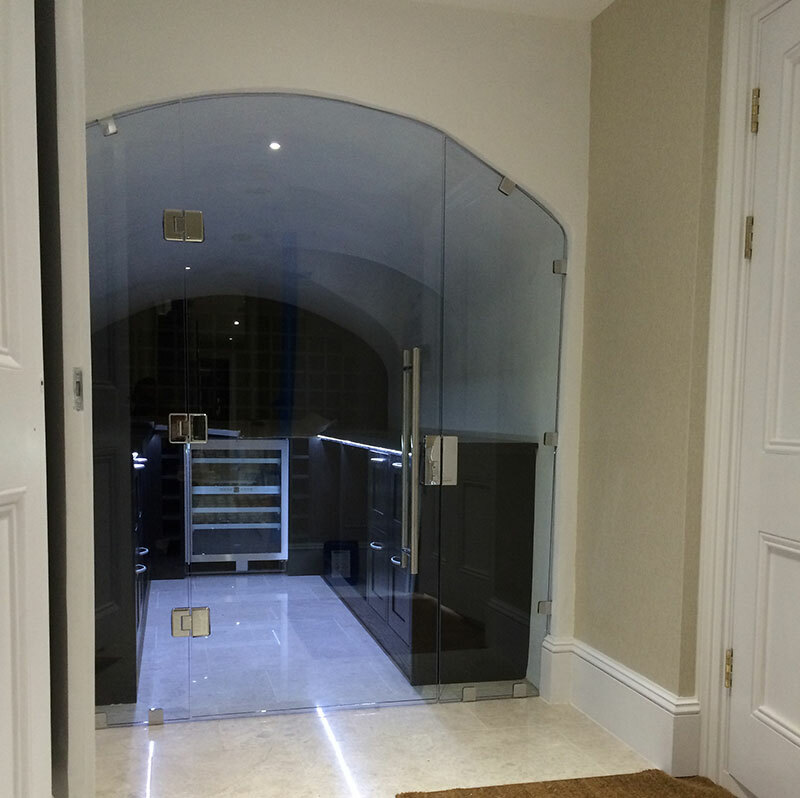 Further glazing solutions by Glasstec Systems comprised of an ingenious glass sliding pocket door, large shower screens, and a feature glazed entrance door in the wine cellar.